There are a number of different opportunities open to those who are considering starting their own accounting business. Accountants are a necessity for many businesses across the UK. While many people may use online accounting services nowadays, there’s still demand for actual accountants too, as they can bring mathematical and financial expertise to businesses. Whether you’re keen to start a general accounting practice, or you want to specialise in tax, auditing or another area of the profession, there are companies out there who will be eager to hire your services. In 2016, UK businesses spent approximately £17.1 billion on accounting services. This is data from The Accountancy Professions in the UK report published in 2017 by Oxford Economics for the Consultative Committee of Accountancy Bodies (CCAB). We’re here to provide you with a step-by-step guide to becoming a self-employed accountant. You can go to the section that you want to read about the most. Or, scroll through the whole article for a step-by-step guide to becoming a self-employed accountant. Alternatively, if you’re looking to become an accountant and need to take your AAT qualification, you can compare quotes to complete the training by filling in the form at the top of the page. When working out which training and qualifications you’ll need to obtain to set up your own accountancy business, you need to know the difference between being an accountant and being a chartered accountant. You can become an accountant with a professional diploma in accounting from The Association of Accounting Technicians (AAT), for example. This is seen as the minimum requirement to work in the profession. To gain chartered status – and to have the qualifications after your name – you’ll need to become a chartered accountant. This involves completing specific training with a professional body, such as the Association of Chartered Accountants (ACA) or the Association of Chartered Certified Accountants (ACCA). You could also complete your AAT training first so that you can work as an accountant, then in time look to become a chartered accountant (such as with an ACA qualification). While a degree and previous study of maths or finance subjects can be helpful, it’s not a prerequisite to study for accountant qualifications in the UK. To get started, it takes nine-18 months of study to obtain the AAT professional diploma. If you decide to become a chartered accountant, this usually involves three-10 years of study alongside practical experience, depending on which training you choose to do. Having a degree and studying to become a chartered accountant means that you may be exempt from having to take certain papers, as you’ve already achieved competency in that particular area and would be likely to complete the training more quickly. It’s worth noting that there quite a considerable time and effort involved in becoming an accountant. While this may not be suitable for everyone, the rewards (such as potential earnings and being able to work for yourself) can also be considerable too. See below for more information on the costs of training. Once you achieve chartered status, it must be maintained by participating in Continuing Professional Education (CPE) training annually. It’s worth noting that qualifications from different professional organisations lead to different specialisms. For example, if you wanted to pursue management accountancy, then your best bet would be to train with the Chartered Institute of Management Accountants (CIMA). Alternatively, if you wanted to focus on auditing, then an ACA qualification would be the most suitable. While it’s possible to use an ACA, ACCA or CIMA qualification to start your own business, you’ll first have to spend time working for an employer while completing your training. Some training programmes (such as the ACA qualification) stipulate that all studies must be completed with the same employer, while others – like the ACCA – allow you to accumulate training time across different employers. In the table below we outline some examples of different routes into accountancy. What is a certificate to practise? As a self-employed accountant, you’ll need a certificate to practise too. This is also known as a practising certificate (PC) and it’s necessary for every type of accountancy you offer. For example, to offer public practice, you’re required to have a PC from ACCA or the Institute of Chartered Accountants in England and Wales (ICAEW). If you’re a member of the AAT, another option is to apply to be licenced from them. “Unfortunately the industry isn’t strictly regulated – anybody can call themselves an accountant! “There are no specific qualifications necessary for you to become a self-employed accountant but I would certainly recommend that you start with the AAT qualification (Association of Accounting Technicians) as you cover the basics of accounting and taxation. “It’s a three year course and you can do it while working in an accounting practice, so gaining experience while you learn, which is a great way to ensure you are picking up the key skills you need to become a great accountant! “You can then progress on to becoming a Chartered or Chartered Certified Accountant if you wish. This involves a number of exams over a further three years, which again you can do alongside working in a practice – I did and it stood me in good stead as I was picking up practical skills and applying theory in the world of work too – win, win! In the next two sections, we’ll look at two key questions: as a self-employed accountant, what can you expect to pay out, and what can you expect to earn back? Insurance – you’ll need to make sure you have sufficient cover in place to protect you and your business in case the worst should happen. A key policy to take out is professional indemnity insurance, which covers you should a client experience negative impacts from mistaken advice you’ve provided. You should also consider insuring your business with policies too: for example, contents insurance will cover your business’ equipment, while a business interruption policy will protect you should your business be unable to operate as usual. If you eventually take on staff, you’ll need appropriate insurance for employees too. Training/qualifications – as outlined in the section above, there are several courses you can take to become an accountant. The AAT professional diploma qualification costs in the region of £1,000-£3,000, plus fees. Practicing certificate (PC) – the price of these certificates depends on if you’re required to have a PC and where in the world you work. As an example, if you’re a practicing accountant in the UK in public practice, the 2018 ICAEW practising fee is £343. Premises – whether you choose to work from home or from an office, you’ll need to consider the set-up costs. 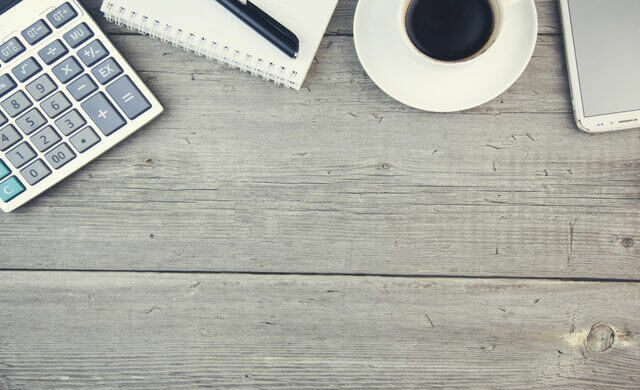 For more information on the expenses to start working from home, read our article with a breakdown of home office costs. Software – while most of the basic software you’ll need – like an email account or spreadsheets – can be obtained for free or at a low price, you should budget for any more complex software you may need. For example, cloud software such as Xero or QuickBooks may well be required as your practise grows. Hargreaves adds: “Of course the first thing you need to run your own accountancy practice is a practicing certificate – you can’t engage in public practice if you don’t hold a practicing certificate from your governing body. This costs around £500 per year. “Then, there’s also your professional body membership – this costs around £300 per year. “You’ll then need to ensure you have sufficient professional indemnity insurance to cover legal costs and expenses to protect you, and your business, if you’re alleged to have provided inadequate advice. “You’ll need a good computer, access to the internet, antivirus and accounts/tax software to produce the accounts and tax returns. As with any new business, it’s difficult to predict how much you’ll bring in, especially in the early days. To get an idea though, here are the average figures for employed accountants. The average accountant salary in the UK is around £60,000, according to Accountancy Age. A chartered accountant’s salary in the UK is in the region of £35,000-£55,000, on average. Experience – accountants with several years of experience are likely to be able to charge higher fees than those who are newly qualified. Extra skills – if you can bring high-level experience from another related field, such as law or technology, consider this when setting fees for clients. Location – where you’re located can affect how much you pay for work space or travel costs, as well as other expenses. For example, costs in London can differ to the rest of the UK, while prices will vary by region outside the capital too. Take this into account when costing your services. Specialism – if you’re starting your own business with previous expert knowledge in a certain type of accounting, or bringing sector-specific expertise, you can factor this into the price point of your services. You’ll also need to bear in mind that when you’re self-employed, you may be able to charge a higher hourly or daily rate than working as an employee. However, this is balanced out by not being entitled to sick or holiday pay. On potential earnings, Hargreaves advises: “Earnings are what you want them to be – you’ll need to do some research to see where you sit in the market and what type of clients you want to attract. Do you want to attract builders, plumbers, electricians etc or do you want to attract growing, successful multi-million pound companies? There are a few actions you’ll need to take to ensure that you can work as a self-employed accountant. In this section, we’ll look at how to register with HMRC and possible locations from which to run your business, as well as how to approach the transition from full-time employment to small business owner. One of the key differences between being employed and running your own business is how your tax is filed. If you’re looking to work as an accountant on a freelance basis, you’re likely to know this already – you’ll need to ensure your business’ own taxes and finances are in order before advising others! Read our article on how to register as self-employed for a step-by-step guide. This will depend on the training and qualifications you decide to take to become an accountant. For those who want to become chartered certified accountants specifically, then completing training and registering with ACCA is essential. How you run your own business depends a lot on your personal circumstances. For example, if you’re currently working and want to test your business idea and build it up gradually, you could start your accountancy business as a side hustle. Perhaps there’s a particular specialism that you’d like to focus on, or maybe you’re wanting to switch professions entirely – whatever your situation, running your own business around existing work commitments is possible. Once you’ve registered with the appropriate authorities and figured out how you want to begin working for yourself, the next step is to think about where you’d like to work. In the early days, it’s likely that you’ll work from home. As your business expands, you may need more space than your spare room allows, so you’ll need to find premises for your business. Renting an office in a coworking space could be ideal if you need to be located in a particular area. Alternatively, a virtual office may be preferable if you decide to operate an online-only accountancy business. Hargreaves states: “Firstly, you have to ensure you have obtained your practicing certificate and have the necessary insurance policies, software and systems in place. “Then, once you’ve done this, you know who your ideal clients are, you’ve nailed your business plan, you know what your specialisms are, you’re pretty much good to go. “Of course you’ll need to decide how you structure your business (i.e. self-employed or as a limited company) and then register with HMRC (so they know you’re trading). “In time, you’ll need to set up a website (as it’s your shop front), and decide if you’re going to employ any staff. “One thing you must do is ensure your brand portrays who you are, what you believe and has strong core values etc. “It’s then time to get yourself out there to promote your brand – you can do this by spending time on social media or getting out and about by attending networking events – it’s down to you as the individual. “Remember, people need to trust you as an accountant so my top tip is to be yourself! GDPR: What do self-employed accountants need to know? The General Data Protection Regulation came into effect in the UK on 25 May 2018. If you’ll be storing personal information about clients, be sure to find out more about GDPR and its impact on business. Once you know what training you’ll need and have an idea of what you can expect to pay out for (and earn back) as a self-employed accountant, it’s time to actually get out there and find clients for your business. It’s essential to have the technical skills needed to be an accountant and know how to attract new business. Here, we’ve outlined some of the best ways to promote your business. It’s essential for a business, whatever its size and nature, to have a website. People expect to be able to find a business online and find out what it does. Your website should include key details, including contact information and the services you offer. In time, as your business grows, you may consider building out your website with more information. This could include a video showing what you do, or a collection of testimonials from previous customers. It’s becoming easier and easier to create a website yourself – check out our guide to the best website builders. Another option is to hire a professional web designer, particularly if you want a custom site or require high-level functionality. Although maybe not an obvious choice for an accountancy business, social media sites offer more opportunities to promote your work, as well as to connect with customers. While there are a vast array of sites to choose from, consider which would best fit your business and matches your target audience, as well as which platform will get your website noticed. For example, you can reach out to other professionals on LinkedIn, while Twitter offers the chance to build your brand and share content with your audience. However, having an online presence isn’t the only way to find clients – don’t forget about recommendations. Once you’ve secured one or two clients, you can begin to think about expanding your customer base by being referred through their networks. If you do the job well and people are happy with your service, it’s possible to find more work from them telling others about your services. You could encourage this by offering discounted rates or special offers for customers who are referred to your business. You could also collect testimonials for your website and social media channels from current customers. Print ads and flyers – display in trade publications and distribute at conferences or other relevant industry events. Hand out business cards– carry your company’s key contact information on you at all times with business cards, and be ready to give them out whenever you meet a potential customer. Attend networking sessions – in addition to finding clients who are looking for accountancy services now, it’s also useful to build a network of associates for the future too. As well as networking opportunities, seminars and conferences offer the chance to stay up-to-date with the latest trends and developments in the industry, which is particularly ideal for self-employed accountants who may work independently. Hargreaves continues: “We’ve built our practice, so far, on good referrals from existing clients who are extremely pleased with the service we provide. “Our clients have told their friends, family and other connections about us and that’s how we have built our brand locally, regionally and nationally! “Having a niche is also important as it sets you aside from other accountants around. What training and qualifications do you need to become a self-employed accountant? “I have the Associate Chartered Accountant qualification that is issued by the Institute of Chartered Accountants in England and Wales (ICAEW). So I can call myself an ICAEW Chartered Accountant. “This takes around three years to complete. You have study for a series of 15 exams while simultaneously getting 450 hours of on-the-job training. It’s intense, but it’s a very prestigious qualification that opens the door to higher salaries later on. “I am also a Chartered Tax Adviser registered with the Chartered Institute of Taxation. This means that I completed the six required exams, and have worked in a relevant job for three years. “To stay registered, I have to complete a certain amount of CPD every year and pay my membership fee. But you can’t just pay the fee without having the qualifications. Anyone can contact the ICAEW and CIOT to verify the authenticity of their potential accountant or tax adviser. What are the costs and potential earnings like? “There are a number of costs that you have to take into consideration, like exam fees and course materials. It’s difficult to give an overall cost because each course provider has a different charging strategy, and every unit cost is different – some are well over £1,000. “The ICAEW charges exam fees that currently range from £70 to £260, plus course material costs and membership fees. These rates do change, year on year. “The exams become more expensive as you work your way through the 15 modules to the advanced level. It seems a lot at the time, but you know it’s coming, so you can budget accordingly and keep your eye on the prize at the end. “The ICAEW survey average salaries every year, and the current figure for annual earnings of a fully qualified Chartered Accountant in business is £134,000. In business, this is usually made up of salary and bonuses. “Looking across all accountancy jobs, the rough annual average is around £40,000 – £60,000. This varies because of a number of factors, like geographical location, different stages of qualification, and responsibilities of the role. Describe the process of becoming self-employed. “It’s an exciting leap. The nitty gritty of the process needs to be done systematically. Getting expert advice is wise, so that you don’t accidentally miss out any of the first steps. “From opening a business bank account to telling HRMC, you have to make sure that you have everything in place – legally and financially. No one goes self-employed to think about different types of insurance, but things like that are your foundation blocks. Lots of these initial tasks are one-offs and when they’re done, they’re done. “The rest of self-employment is about being highly organised, and learning how to balance doing clients’ work with working on your business. “Lists are your friend. You’re responsible for literally everything: layout of the office, branding, marketing, hiring staff, buying coffee… there is no actual end to this list. But this is amazing because everything’s on your terms – it’s your decision. “It’s crucial to plan ahead. Not just your initial business plan, but timetabling everything. Marking crucial dates in the diary, – like the self assessment deadline, – in the diary is one thing. But have you written down when you’re going to do all the little things necessary to get to that point? I’ve found that getting it all on paper in a logical way is the best way to avoid any last minute panics. And remember, there are no five minute jobs. “I guess the ongoing process of self employment is: plan, evaluate, make changes, new plan, on a loop. What advice do you have for our readers about how to find clients to work with? “The most important thing is to deliver a consistently excellent service so that you maintain repeat business, build a great reputation, and generate word-of-mouth referrals. “There’s no secret recipe for success here: you have to play the long game. It’s a combination of targeting businesses that you know you’ll add value to, getting out there to meet new people, and being where prospective clients can find you – online, as well as in real life. “The great thing about being self-employed is that you get to pick your own clients. I particularly like working with clients who want to develop a long-term relationship, and I think it’s important to say that upfront. Really listening to clients and being interested in their business is a sure fire way to engender the trust they need to bring you into their company. “DSM is like having a bolt on R&D department – we really get into the business end of companies’ innovations. Finance is a very high stakes area, regardless of the size of your business, so people need to rely on your absolute discretion and professional integrity. At this point, you’ve learned more about the skills needed to be an accountant, including which training and qualifications you’ll need to complete. We’ve also looked at the process of becoming a self-employed accountant, including what you can expect to earn and how to find clients. So what’s next? It’s time to put this information to use and get going with starting your own accountancy business! An ideal next step could be to speak with experts – simply complete the form at the top of the page to compare quotes for AAT accounting training.